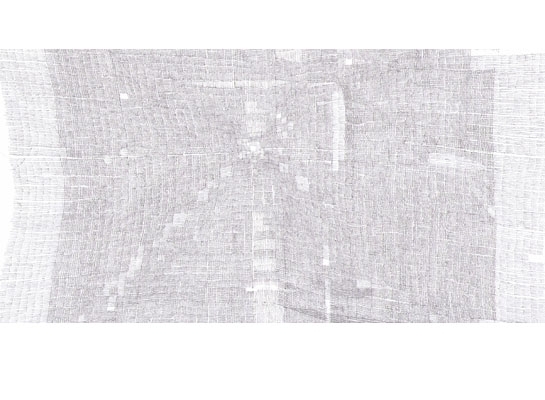 Sebastian Rug locates his fine pencil lines on small formated sheets. The meshed structures are free placements within the moment of drawing representing the sum of many hundreds of single decisions. Some could see webs, which on closer consideration can not be weaved, fragments of fabric, which became brittle over time. Others discover carthographicly gathered landscapes or patterns of settlement. The work of Sebastian Rug compels to take a closer look, to dive in and to locate oneself. he studied painting and grafics at the Kunsthochschule in Dresden and Leipzig. He is a master student of Prof. Arno Rink. In 2008 his works were shown for the first time to a broad audience in the exhibition „drawing as a process“ at Folkwang Museum Essen. In 2009 he was a sholarship holder of the Else Heiliger Fonds in Berlin. The recently published book »RISING - young artists to keep an eye on« by DAAB Puplishers reckons him to be one of the 100 artists whose interesting and independent position has earned the attention of the media and the artmaking community.